How our volunteers help shape our work at Evergreen. As our world is changing, so is volunteering. People seeking to volunteer in our communities are looking to make an impact while having a meaningful experience. Many are looking for high quality opportunities -- beyond the traditional menial tasks -- where they can shape their own experience. With a strong sense of social responsibility, volunteers want to improve our communities and cities, but the relationship isn’t just one-sided. While volunteering has always been for everyone, shifts in the types of roles available and the length of commitment, means younger people, people who work full-time and new Canadians are now finding it easier to donate their time. At Evergreen, about 20 per cent of our volunteers are youth and 30 per cent are between 25 and 44. It used to be that retirees volunteered to fill their time but more frequently now this demographic finds themselves filling the role of caretaker, either to grandchildren or aging parents. Combined with mobility and travel, it seems this age group is spending fewer regular hours volunteering. Short-term, episodic and flexible opportunities have become the name of the game for today’s volunteers who are also, on average, volunteering fewer hours a year and making shorter term commitments. Juggling family, career, travel and community, finding time can be a challenge. “Time-impoverished volunteers increasingly weigh their return on investment, assessing what is required of them and what they will get in return for their investment of time,“ writes Susan Fish. And this return comes in the form of increased skills, job connections and community. Many volunteers come to volunteering to learn and grow, to develop themselves and sometimes to support their career path when entering or returning to the workforce. Volunteering can even be a great pipeline for talent in the very organizations they support, including Evergreen where a number of our staff began their journey as volunteers. These benefits are especially important to newcomers and refugees who may be looking for community, skill-building and job opportunities in their new country. Volunteering sparks connection and inclusion that could be missing. But the benefits are not just for volunteers. A broad diversity of ages, backgrounds and experiences in our volunteers brings a richness of perspectives and skill sets. Newcomers and refugees who volunteer bring unique skills from around the world to Canadian organizations. 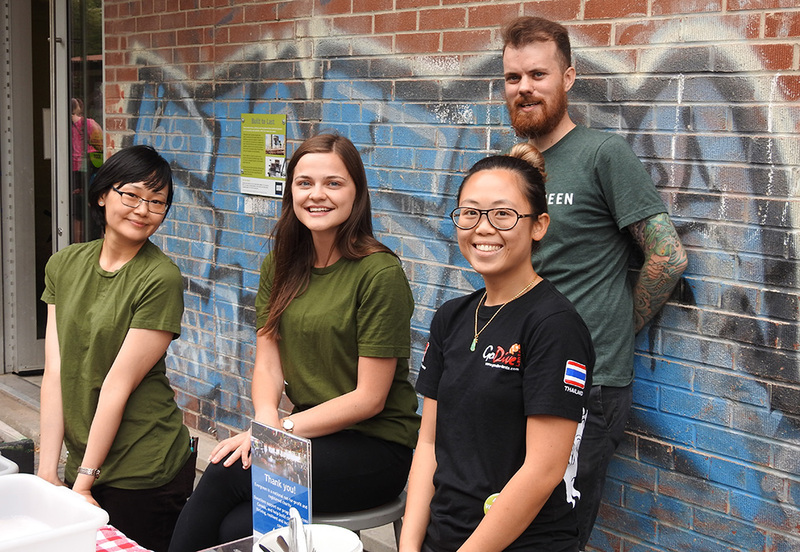 Seven per cent of Evergreen’s volunteer base are people who are differently able who also come from a wide range of backgrounds. 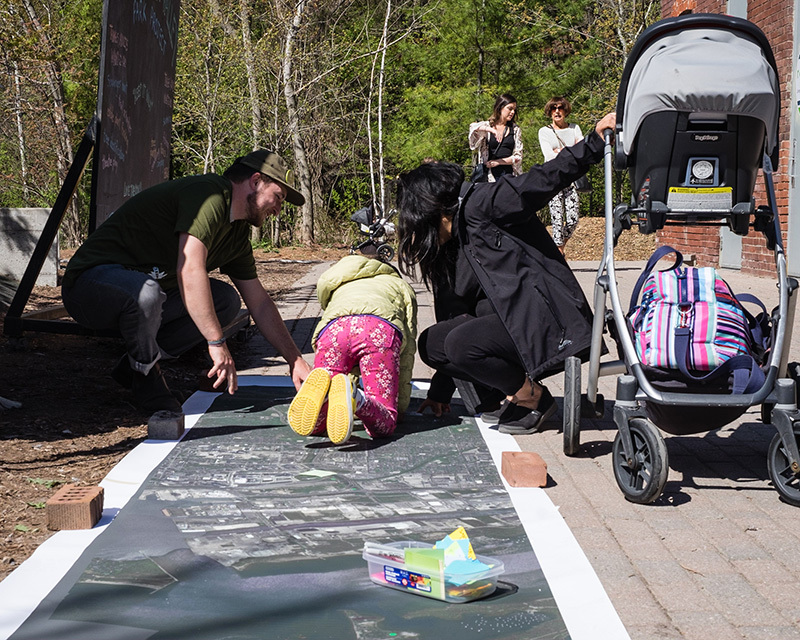 Working with this group helps shape our programming and our space at Evergreen Brick Works and across the country. A broad diversity of volunteers brings a richness of experiences to our work at Evergreen. We a grateful to have them on the team. In short, volunteering is a two-way street. At Evergreen we value the skills, experience, enthusiasm and contributions that volunteers bring to all aspects of our mission to enable flourishing cities. Many thanks to over a thousand people who volunteer each year with Evergreen across Canada. The engine driving most public-facing programs as well as behind the scenes, they are key partners in building the flourishing cities of tomorrow. We’re striving to shape a volunteer experience that is meaningful and responds to the changing landscape, one where there is a range of flexible, impactful opportunities for a range of people. If you want to be part of an incredible team, check out our spring and summer opportunities today and apply to join! Christine Martin is Senior Manager, Volunteer Engagement at Evergreen.